This is a complete immersive course which is specially designed to fast track your career and take it to the next level. This LACCA diploma is all you really need to become a certified makeup artist and establish a name in the industry. This is one of a kind course looks at the fashion industry from an all rounded perspective which is designed to put you in touch with the right industry in high fashion contacts and take your fashion career to a whole new level. A specialized course with an academic curriculum focus which is specially designed to fast-track your professional career in the makeup & fashion industry so that you can take the next step in your career. This LACCA diploma is specialized course which is all you really need to become a certified makeup artist, take the next step in your career, acquire the skills, build strong contacts and take the entire industry by a storm. 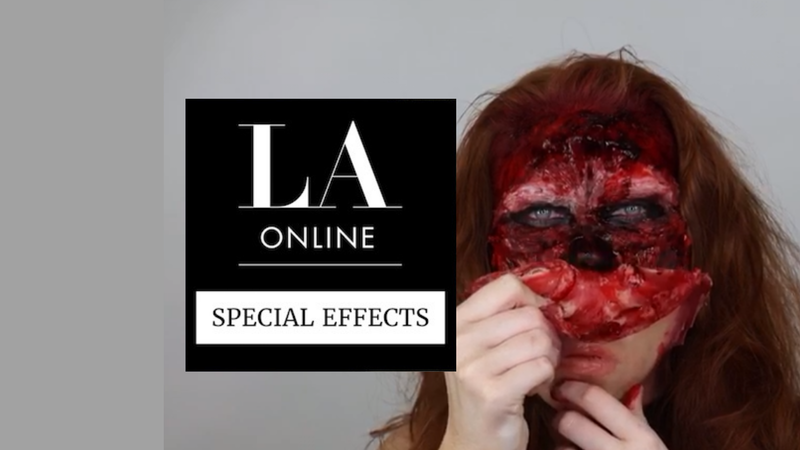 This is a one of a kind make up course which equips its students with the rights skills such as use of prosthetic sculpting, molding, casting and painting to create advanced cosmetic effects so that you can launch your career in the field. This is a professional course which leads to a prestigious career. The program of study consists of topics in design, materials, colour theory, lighting, drawing and many more which makes it into a complete well rounded academic course.